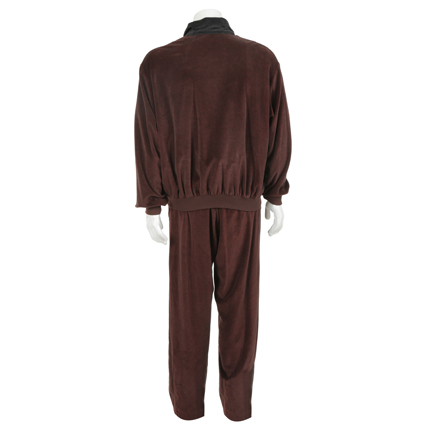 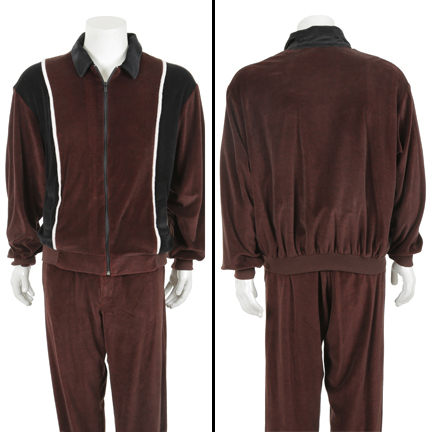 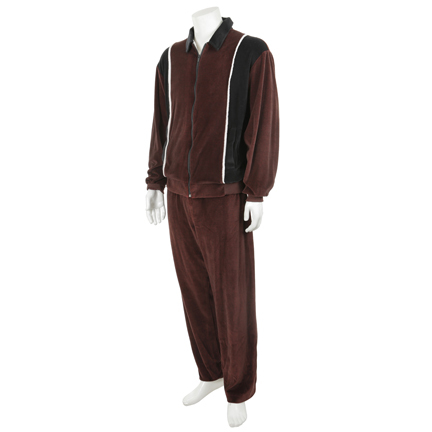 This tracksuit was worn by the character Paulie “Walnuts” portrayed by Tony Sirico in the H.B.O. 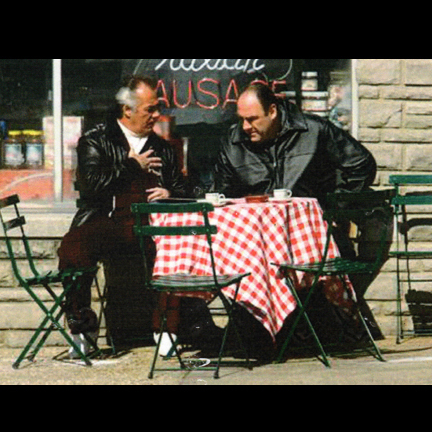 award winning series "The Sopranos". 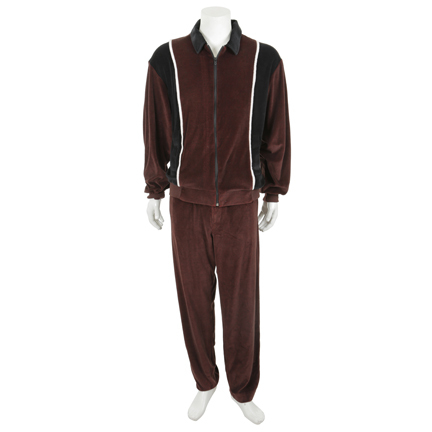 This burgundy, black, and white “Alan Stuart” velour tracksuit features black stripes and white piping. 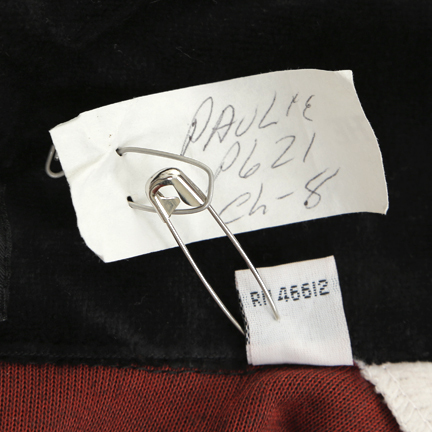 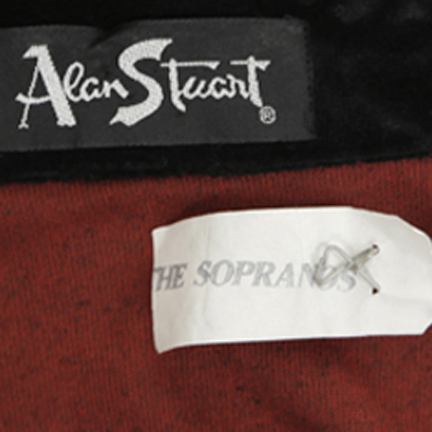 Attached is the Sopranos wardrobe tag with “The Sopranos” stamped on the front and “Paulie P621 Ch-8” written in ink on the verso. 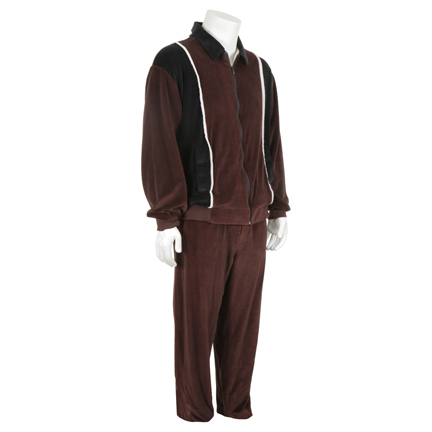 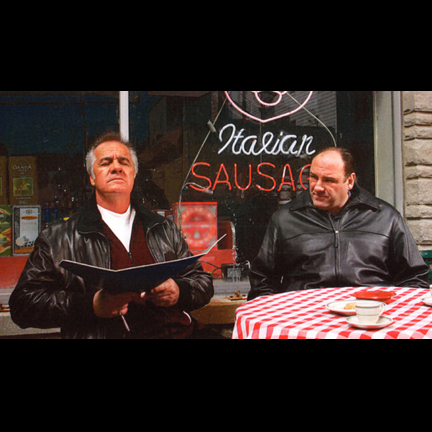 Mr. Sirico wears this tracksuit in the series finale, "Made in America" (Season 6, Episode 21) while meeting with "Tony" (James Gandolfini) outside Satriale’s Pork Store. 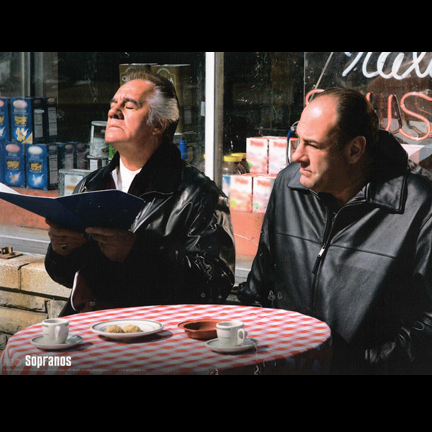 “Tony” propositions “Paulie” to take leadership of the Aprile crew. 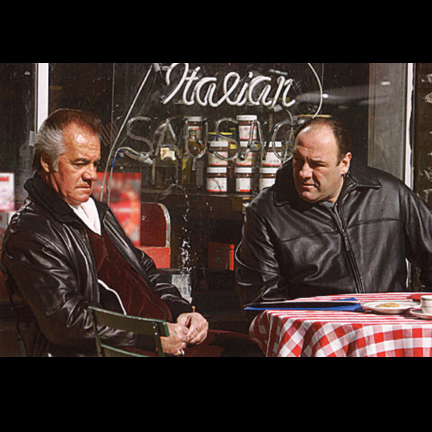 “Paulie” initially refuses pointing out that everyone who has led that crew has died prematurely. 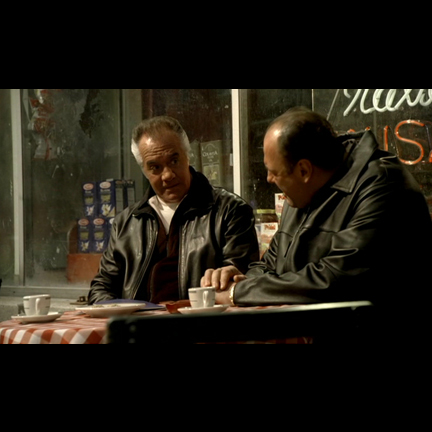 He accepts once “Tony” tells him he will offer the position to “Patsy” (Dan Grimaldi).